Winchester Sofa Dining There are 7 products. 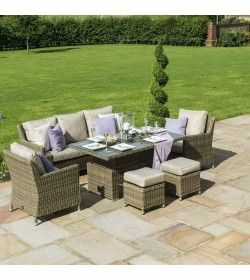 Sofa Dining Set is a high quality and stylish furniture set perfect for dining in comfort in the summer months. 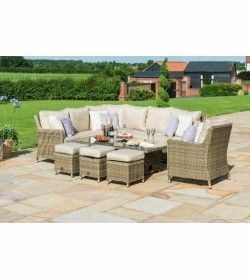 The Winchester Sofa Set is made with half rounded rattan weave, handwoven onto a sturdy powder coated aluminium frame for a rust free design to ensure use all year round.